The common cold is a viral infection of the upper respiratory tract. The rhinovirus, followed by the corona virus and the respiratory syncytial virus, is responsible for most cases of the common cold. 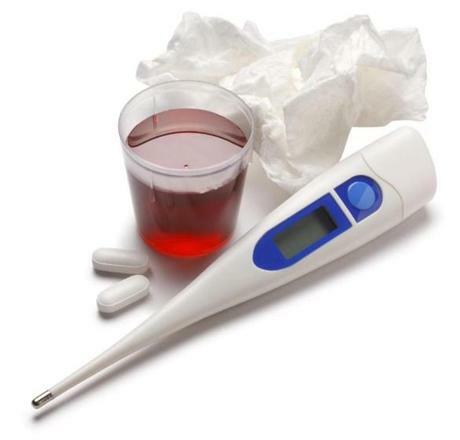 Any virus that causes the common cold is generally referred to as the common cold virus. Common colds are hardly fatal, but they are irritating and troublesome nevertheless and do require the patient to take some rest. The common cold virus spreads through the aerosols of nasal fluids. There are nearly 200 different types of viruses that are known to cause common cold. The symptoms of the condition can vary from person to person and usually depend upon the type of causative virus. For this reason, the rapid detection of the specific virus causing the infection is required to make optimal use of antiviral agents for common cold treatment. The inflammatory mechanism of the common cold is an example of the complexity of the virus-host relation. The common cold is an air borne infection. It spreads when the common cold virus is transmitted through the aerosols of nasal fluids. In some cases, especially when the infection is caused by the respiratory syncytial virus, the transmission of the virus is also caused through contact with contaminated surfaces. Rhinoviruses can often survive for 18 hours on contaminated surfaces. When a person comes in contact with these surfaces, the infection is immediately transmitted to him. A rhino virus infection is highly transmissible during its first three days. People may just carry the virus and transmit it to others without experiencing any of the symptoms themselves. The host’s immune response to the common cold virus is the basic reason for the symptoms observed during a common cold infection. The entry of the viral particles into the human body is known to trigger inflammatory mediators that produce the common cold symptoms. The symptoms begin when the viral particles are attached to the epithelial linings of the upper respiratory tract. The subsequent inflammatory response then results in the secretion of lot of mucus in the upper respiratory tract.This fluid dilutes the common cold virus and expels it from the nose. The inflammatory reaction also expels the virus by irritating the nasal sensory cells and causing sneezing. If the virus penetrates the upper respiratory tract further, coughing also occurs in order to get rid of the virus. 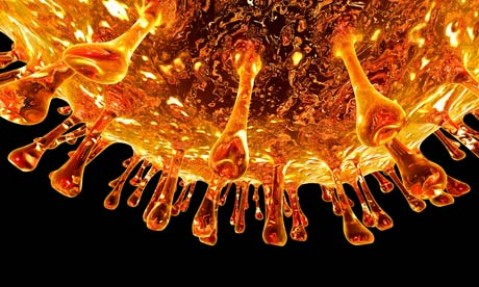 Antiviral agents, fluids, and rest are the best ways to counter the attack of the cold virus. Sometimes this acute viral infection may spread to the lower respiratory tract and cause secondary infections in the eyes and middle ears. If the host’s defenses increase, the clear fluid transforms into a thick fluid that is filled with the debris of dead cells and is yellow-green in color. While the common cold usually lasts for about five to seven days, the postnasal discharge and the cough may continue to exist for a period of two weeks or more. As so much of the body’s energy is directed at fighting the virus, the host feels tired and miserable. In most cases, a common cold is diagnosed by observing the patient’s medical history and generating cultures for the common cold virus. This condition is rather annoying than harmful, and the best way to fight it is to use antiviral agents, drink lots of fluids, and get plenty of rest. Although the common cold is an ordinary illness that occurs quite frequently, common cold symptoms cause a lot of discomfort. There are no specific medicinal remedies to cure the common cold. Common cold treatment is restricted to simple measures that provide temporary relief and occasionally shorten the duration of the cold. 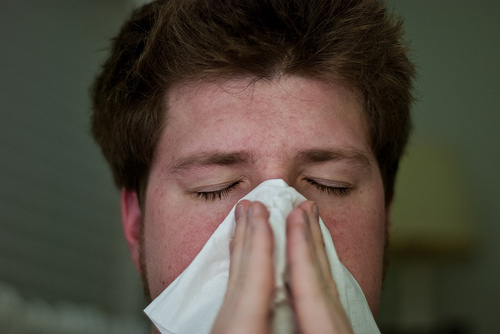 As part of common cold treatment, anti-histamines are often prescribed to counter a runny nose. Physicians often face questions about the best ways to treat acute upper respiratory tract infections caused by the common cold virus. Individuals with this infection often resort to over-the-counter (OTC) medicines for temporary relief, without paying attention to the safety and efficacy of such medication. The infection occurs due to the common cold causes. Over-the-counter cold and cough medicines may help ease the symptoms of the common cold in adults and older children. Although they do not show immediate improvement in the condition, they do help reduce discomfort in the patient. Such medicines are not recommended for children under the age of six and in their case, consulting a physician is highly recommended. The usage of antibiotics and antiviral drugs for treating the common cold is not effective. If you have a common cold that shows no signs of abating even after two weeks, consult your physician. You can get some relief from this condition by taking some of the following measures. Drink at least 3-4 litres of water. This helps in keeping the nose and the throat moist. Avoid coffee, carbonated drinks, and alcohol consumption. Use a vaporizer to maintain the humidity levels in the room at around 50-60%, particularly during winters. Gargle with warm water containing a teaspoon of salt to get relief from a sore throat. Repeat this at least 4 times a day. Take hot showers to clear out your nasal passages. Try an anti-histamines to stop a runny nose. 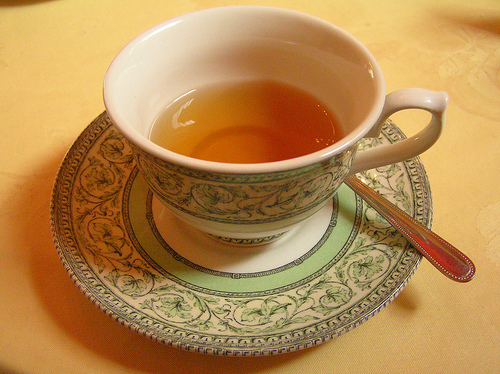 Drinking hot fluids like tea and chicken soup is recommended for the treatment of common cold. Try this yogic technique to prevent nasal dryness. Get a neti pot and fill it with saline water. Insert the pot into one nostril and tilt your head to one side to allow the solution to flow up the nasal passage and flow out through the other nostril. Consume foods like oranges, strawberries, papayas, and melons, as they are rich in vitamin C, which helps reduce the duration and severity of the common cold symptoms. Drink hot fluids such as tea or chicken soup, to relieve nasal congestion. Try black or green teas, as these are loaded with disease-fighting antioxidants. Garlic is known for its legendary germ-fighting abilities. Consume fresh garlic to reduce the soreness of your throat and clear out a blocked nose. 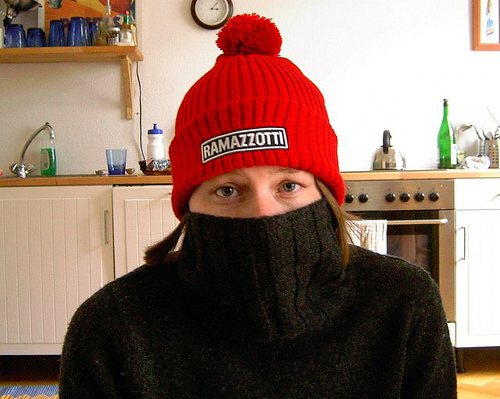 There are no definitive medicines for common cold treatment. This condition usually subsides in 7-10 days. The best way to face a cold is to take in plenty of water and hot fluids, and rest up as much as you can.